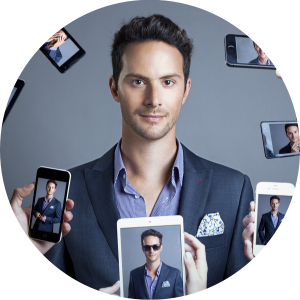 Conrad Egusa is the CEO of Publicize, an innovative public relations company specialized in start-ups, and a guest contributor to TechCrunch, VentureBeat, and The Next Web. 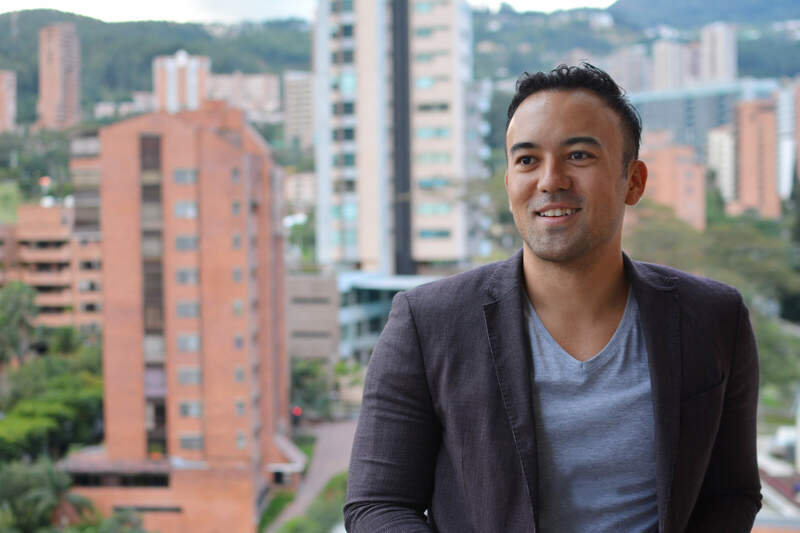 Earlier he co-founded Espacio, an incubator located in the heart of Medellin. He is also a global mentor at 500 start-ups, The Founder Institute, ANDI (Asociación Nacional de Empresarios de Colombia), and the Spanish accelerator Zarpamos. I had a chance to talk to him at the Pioneers Festival in Vienna about his unique approach to PR, and the advice he gives to start-ups trying to get featured in tech publications. What do you advise to start-ups looking for guest blogging opportunities? How can they get the attention of major publications? A mistake I see people make is that they write to TechCrunch and ask if they could write a guest article. It will not work, because the editors are busy, they don’t have time to respond, and they don’t know whether you’re a good writer or not. They receive hundreds of similar emails every day. What I recommend is when you first contact them, introduce yourself and have the article written already. So when you send to them, you could say something like, I have an article below, it’s not self-promotional, it hasn’t been published elsewhere, could it be considered? And if you send three or four good articles to a publication, in many cases they will ask you to write as a guest contributor. Yes, you should absolutely avoid promoting yourself that way. If you send an article to editors about what your company does, they wouldn’t accept that. Let’s say you have a start-up with great software for accounting. What you could say is, here is like three or four pieces of advice about how you as a start-up founder can be better at accounting. Or what we think the accounting and finance industry is going to be heading in the next two to three years. So by doing that, you’re not directly self-promoting yourself, but at the same time, you’re positioning yourself as a thought leader for accounting. You could do that as well for SpringTab,* and actually any company could do that for their own industry. How did you get started? How did you do get your foot in the door? So, my path came really from start-ups. I raised funding in Northern California for my first company. Then I remember, I was in New York and I met this person named Matt Marshall, who is the founder of VentureBeat, and he said he was looking for writers, and it kind of got me on my path. I think the biggest thing, the key to writing that I learned is rewriting. So I think a mistake a lot of people make is that they have the first draft, and they expect it to be perfect. But the reality is the first draft usually is just not. So if you like mentally go in your head like, well, you’re going to need five to 10 drafts to perfect an article, it just really helps. Each publication has its own kind of style of writing as well that people should follow, but I think it can even help as modeling. So even if you just take an exact article and try to do a similar one based on that template on a different subject, it will help. There’s a lot of strong writers who, like for example, submit an article to TechCrunch, and they are not going to accept it just because it doesn’t fit their style. So it’s important to try to match the style as well. A lot of great start-ups get good local feedback and make some money, but at the same time, they struggle with reaching the next level. If a company like this had an office hour with Publicize, what would you recommend to them? What should they ask themselves? What is the most important thing to focus on? I think the biggest thing is to amplify the message. For example, one of the companies that I’ve co-founded is a co-working space start-up. Co-working spaces are really boring businesses. They rent an office in a building and charge slightly higher prices based on the square footage. There are hundreds around the world, so no one cares about them, right? With this company, we got into TechCrunch, BBC, Financial Times, and all these others. And the reason why was that the mission that we pushed for wasn’t a co-working space. The mission was to turn our city into the Silicon Valley of South America. An early-stage start-up usually isn’t that interesting because it probably doesn’t have that many features. But where you want to take it in three to five years could be interesting. So when you are about to go to sleep, or you’re going to the gym and you’re daydreaming, you’re like, in four years SpringTab is going to have 500 employees and it is going to be taking the world, right? And whatever vision you see there, that’s what you should highlight to these big media publications. Like, say hey, this is where we are today, but what’s really important is the steps you planned. You need to ask yourself, how is your venture going to change the world, how it’s going to look like when it’s a 100-million-dollar company. Where you are today is less relevant for big publications, but where you want to head is something that they might want to cover. I think what’s important to keep in mind is that every disadvantage is a potential advantage. It’s literally really like chess. The question is, how do you want to play it? Hungary’s ecosystem isn’t like the Silicon Valley’s. On one hand that’s a disadvantage, but on the other hand, the fact that it’s small and growing shows that it has a lot more room to grow and a lot more potential. The reality is people don’t really want to write about Silicon Valley because everyone’s already written about it. But a new ecosystem like Hungary, that’s exciting. That doesn’t exist yet. So by framing it a different way, you can create a story. Also, there are a couple of events that trigger interest. So as an example, the Netherlands, when I wrote about their ecosystem just got appointed someone from the government who is responsible for integration with start-ups. That recently happened in Austria as well. There is a moment when you can see more news around an ecosystem because something has happened and maybe even more stuff will happen. So I think for Hungary, they can think about that as well. I would just look at all these storylines you can include. * SpringTab is a start-up that I founded. It helps companies understand their audience on a deeper level and personalize their content according to the personal preferences of their visitors. During our meeting, I also asked Conrad Egusa about website personalization and the importance of social data. I posted this part of the interview on SpringTab’s blog. Click here if you’d like to read it.